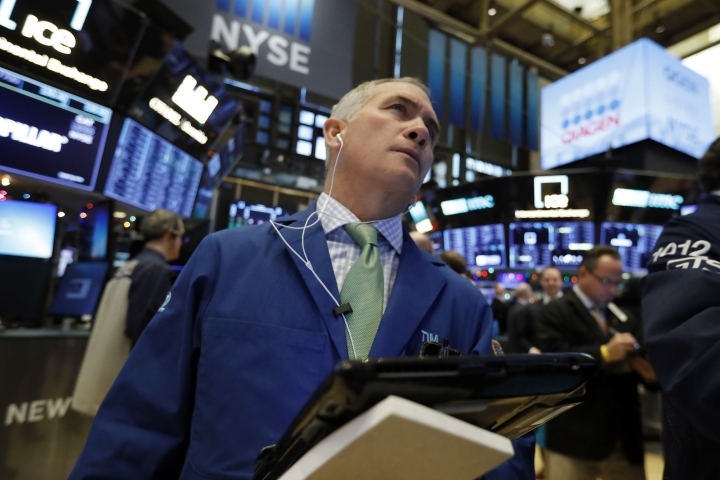 Stocks are falling sharply on Wall Street on new concerns about slowing growth in China's economic engine and disarray surrounding plans for Britain to exit the European Union. The S&P 500 index fell 53 points, or 2 percent, to 2,579. It's on track for its lowest close since April. Stocks are slumping on Wall Street again on new concerns about China's economy and as Johnson & Johnson plunges. Software maker Adobe lost 4.7 percent after its fourth-quarter profit fell short of Wall Street's estimates, and Starbucks fell 3.9 percent after issuing a disappointing growth forecast.